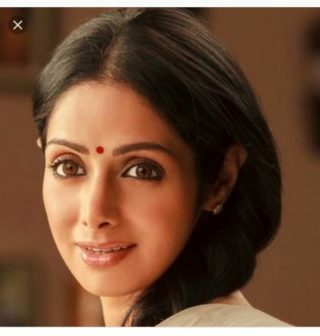 Popular Bollywood actor Sridevi passed away on Saturday night after a heart attack. The news was confirmed by Sridevi’s brother-in-law Sanjay Kapoor. Sridevi was with her husband and younger daughter Khushi in Dubai at the time of her death. The Kapoor family were in Dubai to attend the wedding of Mohit Marwah. Sridevi began acting as a child artist in Tamil films at the age of 4 and became a popular child actor having been a part of several Tamil, Telugu, Malayalam and Kannada films. She first made an appearance in Bollywood in 1975 in the film Julie, in which she played the lead actor Lakshmi’s little sister. She began playing the lead in Tamil films at the age of 13 with Moondru Mudichu and was part of several popular hits including 16 Vayathinile, Sigappu Rojakkal, Premabhishekam and Moondram Pirai. Sridevi’s debut as a lead in Hindi films began with Solva Sawan in 1978 and she never looked back. Films like Himmatwala, Mawali and Tohfa made her immensely popular among the masses. But it was her performance in films like Sadma, Mr India, Chandni, Chaalbaaz, Nagina and Lamhe that eventually made her a superstar. The actor took a break from films after marrying producer Boney Kapoor in 1996. Sridevi made a comeback to films in 2012 with English Vinglish, which was both a critical as well as commercial success. Sridevi was honoured with the Padmashri in 2013 and the actor has won 5 Filmfare awards in her long and distinguished career in showbiz.